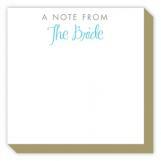 A wonderful way to stay in touch with family and friends and keep them abreast of your life's happenings is with personalized stationery. What better way to send along a piece of you to them than with a piece of stationary created by you? Our selection of personal stationery ranges from folded cards, to thank you cards, perfect for any and all occasions. Showcase a bit of your own personal flare with every piece of correspondence you send. 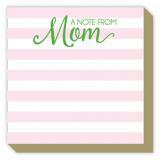 We also feature a wide arrangement of kids stationery that are fitting for children of all ages. Whether it's a chance to invite classmates and friends to a birthday party, or a way for your son or daughter to say thank you, our kids stationery is a handy way to stay in touch and stay on top of things. It isn't just our stationery that can be personalized. We also feature a variety of other products useful to others that be peppered with your own personality and charm. 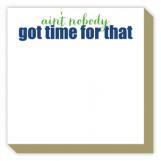 Like our personalized note pads for example. Never again will you write on a notepad that isn't perfectly fitted for you. Or perhaps our personalized recipe cards will be of interest. Anyone who has kept a collection of recipes throughout the years will known the satisfaction of having personalized recipe cards at their disposal. We want you to find everyday products fun again. What better place to start than with a weekly calendar pad! Each calendar we feature offers funky and fresh designs and colors, and can be personalized to your liking every time. Make every day you check off your calendar an inspiring one, and let Polka Dot Design help. The thought of a world without hand-written messages is too sad to consider. As much as we love an email written at a timely moment or the perfect gif sent to our inbox. There is nothing like opening the old mailbox to find an actual piece of mail just for you. There is nothing quite like the excitement you get when you see your address actually written on an envelope waiting for you in your mailbox. As you dig through the grocery flyers and credit card offers to see a creatively cultivated piece of stationery is enough to stop you in your tracks. If we want to send this gesture of recognition, let us make sure we do it in style. After all, to take time to put pen to paper, you want the receiver to appreciate that gift— not toss it in the trash. We want that note put in the scrapbook! You want to make it to the refrigerator, right? It may be time to upgrade your thank you note stash to an actual custom stationery set with some unique adornments that will elevate your letter to keepsake status. We are here to help. No more will you be uninspired as you dig through the shoe box of notecards from the dollar store. You want to make your mark, you want to have your signature look. Dress up your everyday notepad with your monogram or a clever border. No need to settle for standard, within a just a few minutes you can custom create your very own set. Start with yourself then consider the rest of your crew. Kids stationery is a wonderful tradition. It can start as a baby gift for your dear friend. 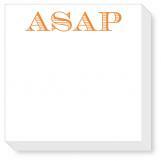 Just have the baby names or family last name imprinted on a simple notecard. It is so surprising how this simple gift can bring tears to a mom-to-be. It is elegant, thoughtful and refined. Most of all, it's easy! What a great combo. It is essential that kids have their own stationery set as well. When children grow up with an attitude of gratitude is shapes them into better humans. It's true. Don't deprive the kiddos in your life of this experience. Teach them early that a little thank you note goes a long way in Grandma's heart. Anytime is a great time to make some tea, throw on your favorite music, and craft some thoughtful, handwritten notes. There are so many easy ways to create a well-crafted note. Start with a sweet intro. Be specific in your thanks. Close with a heartfelt statement and sign off in style. Stationery for a birthday or wedding is always welcomed. Don't forget the graduate, they have lots of notes to write. Last but not least, make sure you have something to write that love letter, don't forget the squirt of perfume or cologne to properly swoon the one you love. A note to a friend in a time of need or just a way to say, hey I'm thinking about you! Only a few supplies are needed to make something special, so unlock your creativity and have fun with it. Now go spread the love.